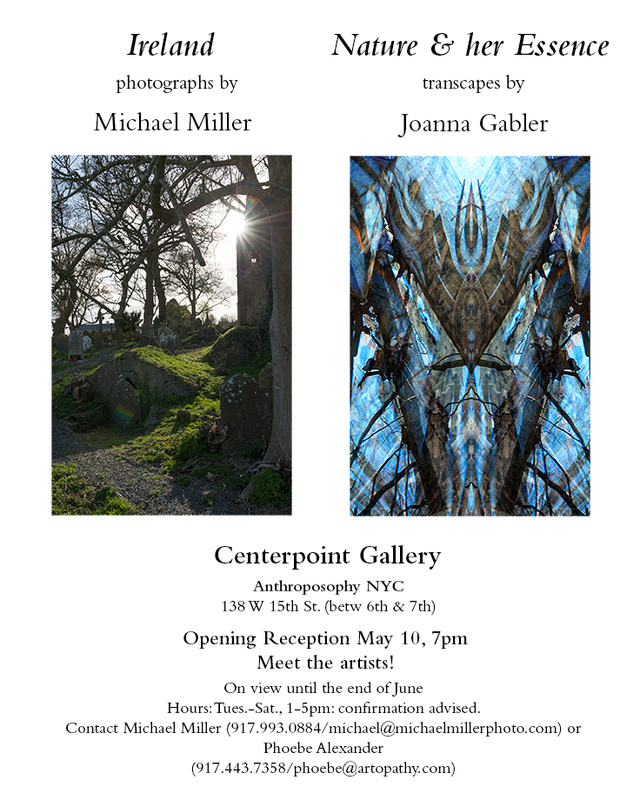 On view in the Centerpoint Gallery is “Transcapes: Nature and Her Essence,” works by Joanna Gabler, painter and photographer. The art in this exhibition is the fruit of Joanna’s passion for photography and initiated by her studies in Anthroposophy—her quest for uncovering the mysteries of nature. Sensitive to color and form, she goes out into Nature, seeking her own personal vision. All her art is inspired by and co-created with Nature. By using photography and developing it further through the digital media as a creative tool Gabler’s goal is to capture the unseen energies behind physical reality and make them visible. Gabler calls her images “transcapes,” because they are landscapes transfigured by her artistic vision. This entry was posted in Current Exhibitions and tagged digital art, nature, transcapes. Bookmark the permalink. Copyright © 2011-2019 Nature Transfigured. All rights reserved.